The HP A7500 Switch Series comprises 10 Gigabit modular core switches designed for the requirements of enterprise data center applications. These multilayer switches meet the evolving needs of integrated services networks, and can be deployed in multiple network environments, including the enterprise LAN core, aggregation layer, and wiring closet edge, as well as in metropolitan area networks (MANs) and data centers. 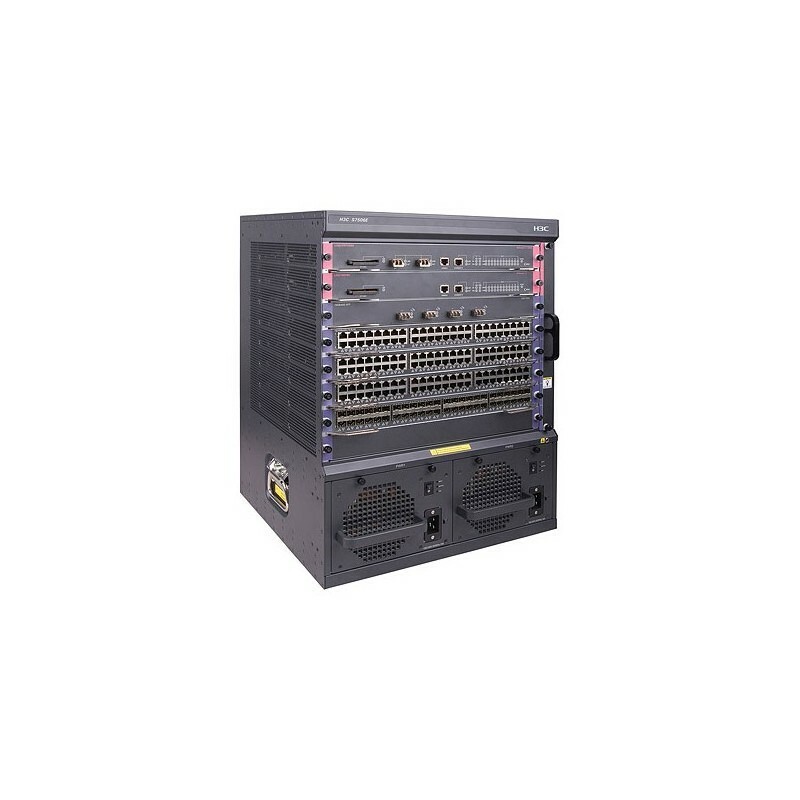 They feature cost-effective wire-speed 10 Gigabit Ethernet ports to provide the throughput and bandwidth necessary for mission-critical data and high-speed communications. A passive backplane, support for load sharing, and redundant management and fabrics help HP A7500 series switches offer high availability. Moreover, these switches deliver wire-speed Layer 2 and Layer 3 routing services for the most demanding applications. • High-speed fully distributed architecture: - 2.4 Tbps backplane supports 1152 Gbps switching capacity maximum, providing enhancedperformance and future expansion capability; with dual fabrics,the switch delivers up to 714 Mpps throughput. - All switching and routing performed in the I/O modules . - Meets today's and future demand of enterprise's bandwidth-intensive applications.